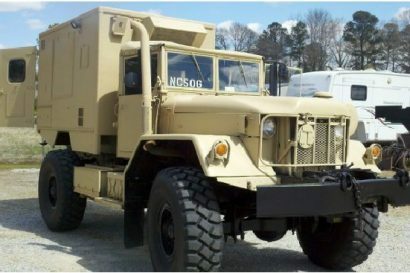 By now we’re all well aware of American Expedition Vehicles and their critical role in the advancement of Jeep technology and design. Their vehicles are cutting edge representations of what is possible if you dare to remove every compromise from the equation. 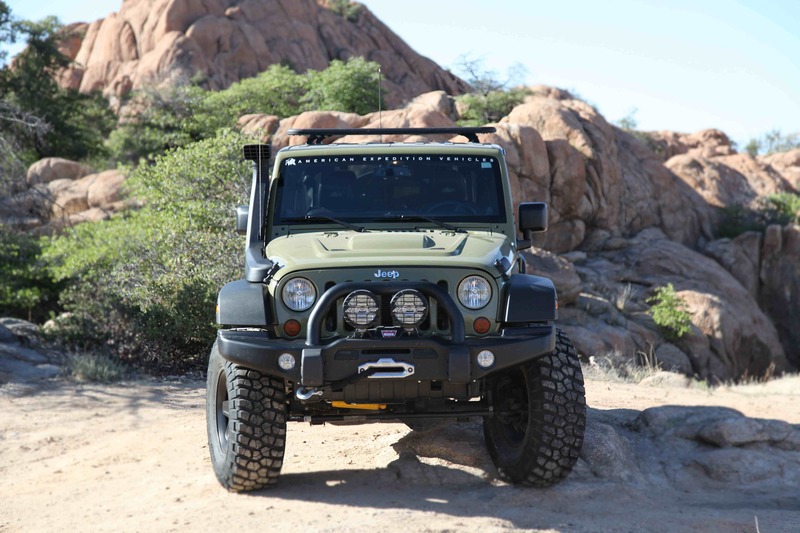 We recently had the opportunity to spend a month with one of their Jeeps and handing back the keys was more than enough to put frowns on all of our faces. 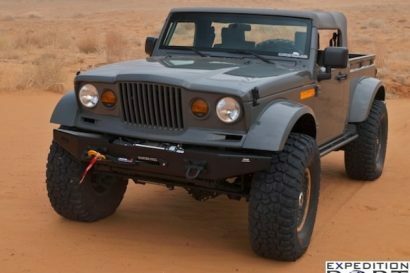 The most noteworthy modification to this Jeep is its beating heart, and a massive one it is. 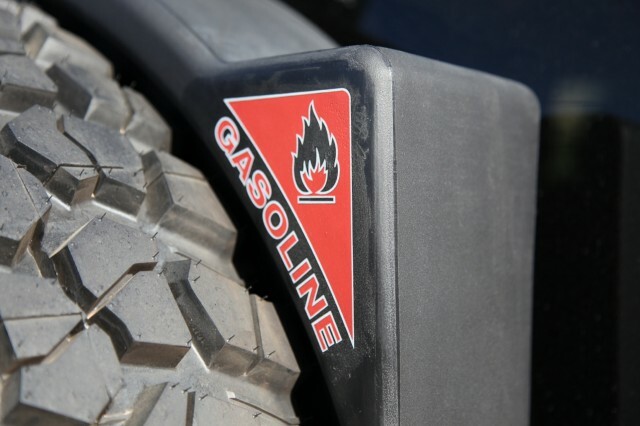 The 6.4-liter Hemi V8 is a monster when awakened and has a throaty rumble that makes the hairs on my neck bristle. To my surprise, that engine didn’t invite whiplash inducing acceleration, although it is rather brisk on the get-go, but produces a very composed distribution of power. 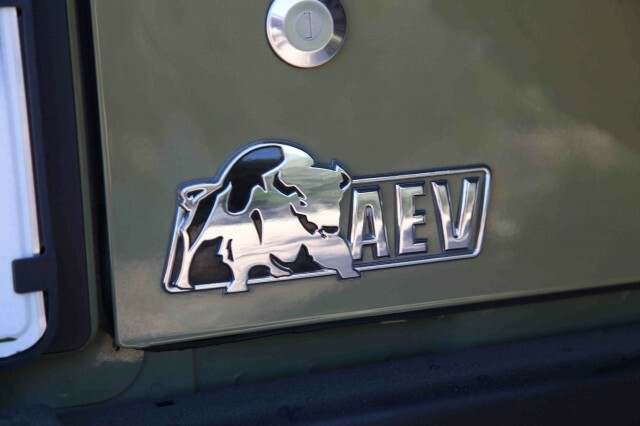 It doesn’t feel like AEV installed a huge engine just for the sake of offering excessive amounts of power. 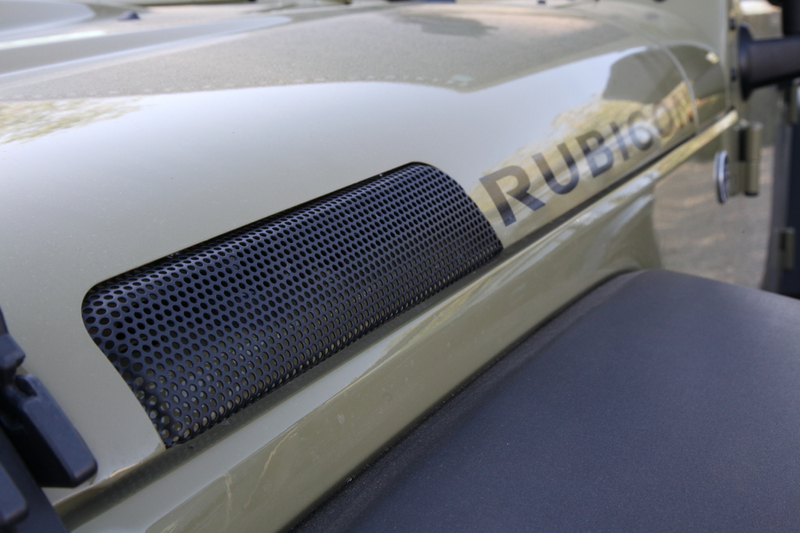 It feels perfectly paired to the Jeep Rubicon. On the drive from Moab to our office in Prescott, Arizona, we achieved an impressive 14 mpg. 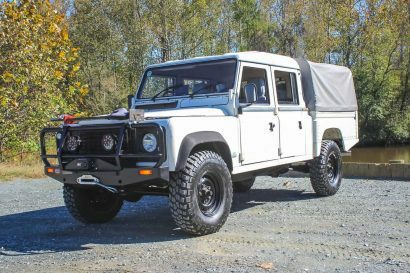 Not too shabby considering the potential thirst of such a large engine. 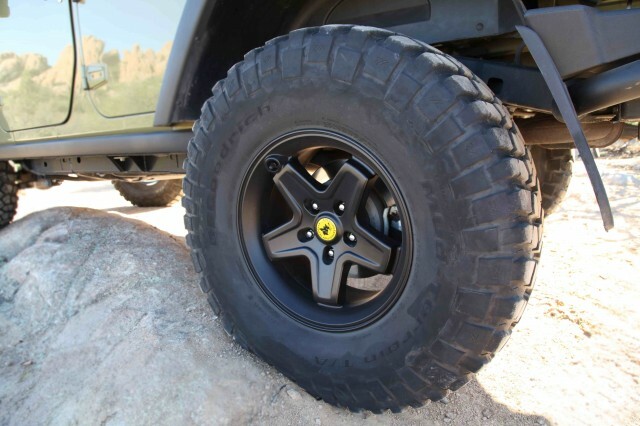 That engine makes short work of pushing the 37-inch BFGoodrich Mud-terrain tires mounted to AEV’s popular Pintler wheels. 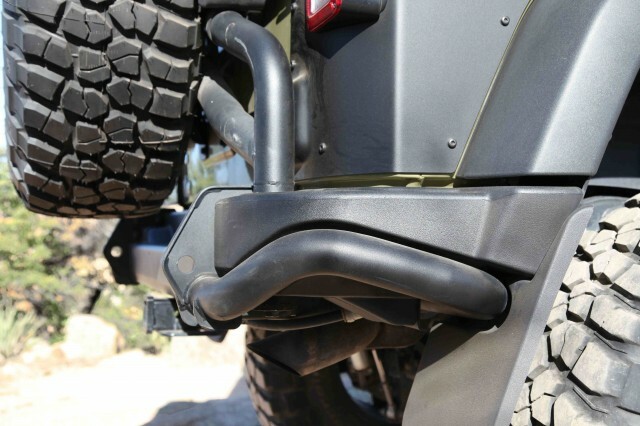 The 4.5-inch DualSport RS Suspension gives the Jeep a confident ride quality in all driving scenarios, even on the highway at cruising speed. 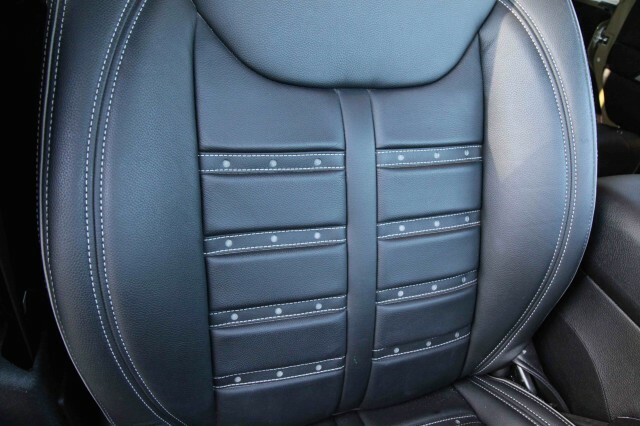 A quick walk around the vehicle reveals an extensive inventory of subtle modifications. 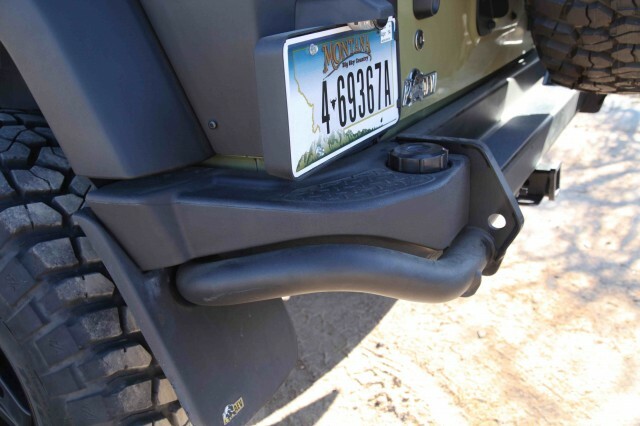 The rear bumper discretely conceals a pair of 2.4-gallon storage tanks. 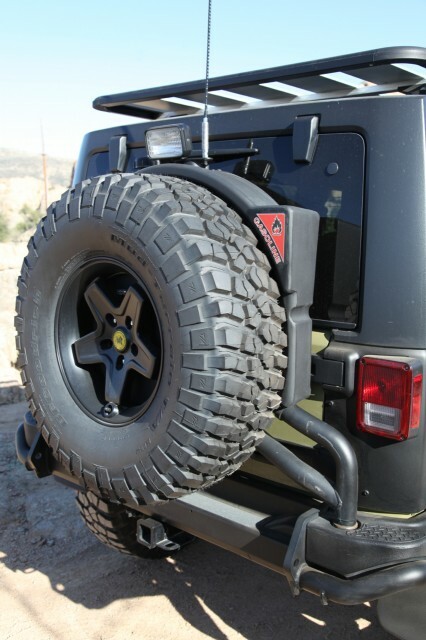 The swing-away tire carrier includes a 10-gallon fuel caddy, and tucked into the well shaped front bumper sits a Warn 9.5 cti winch spooled with synthetic line. 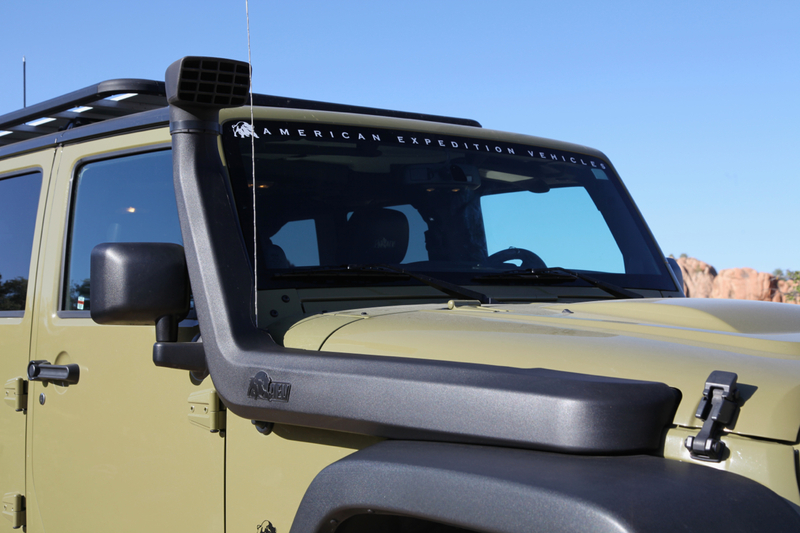 No AEV Jeep is complete without their vented hood, and going a step beyond, this Jeep also has their own snorkel and roof rack. The interior received equal attention with AEV’s custom leather seats, and the dash gauges have been replaced with AEV badged indicators adding to the overall refinement of the conversion. 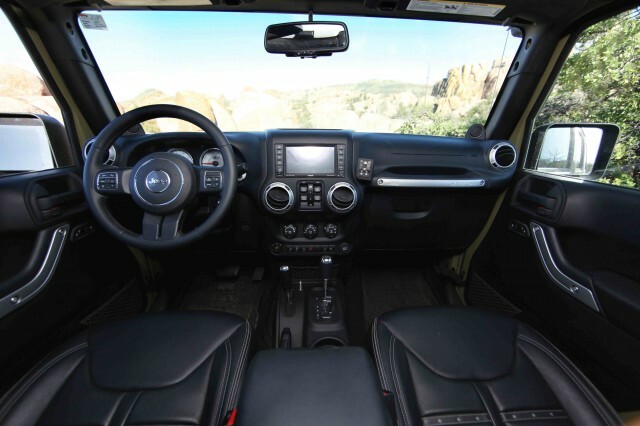 The hallmark of an AEV Jeep is the cleanliness of design. 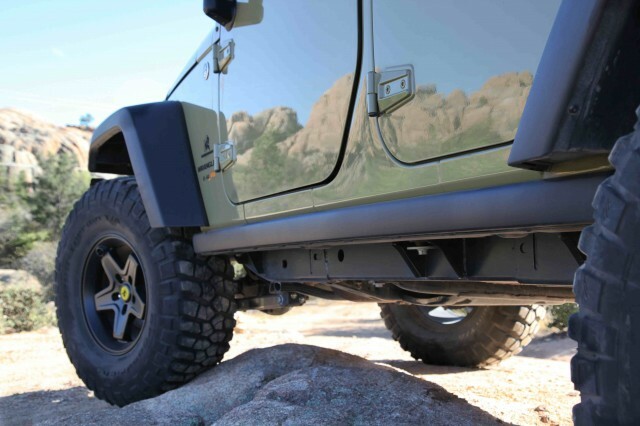 Standing next to the AEV Wrangler it is evident something special is afoot, but it doesn’t appear overdone or garishly modified. 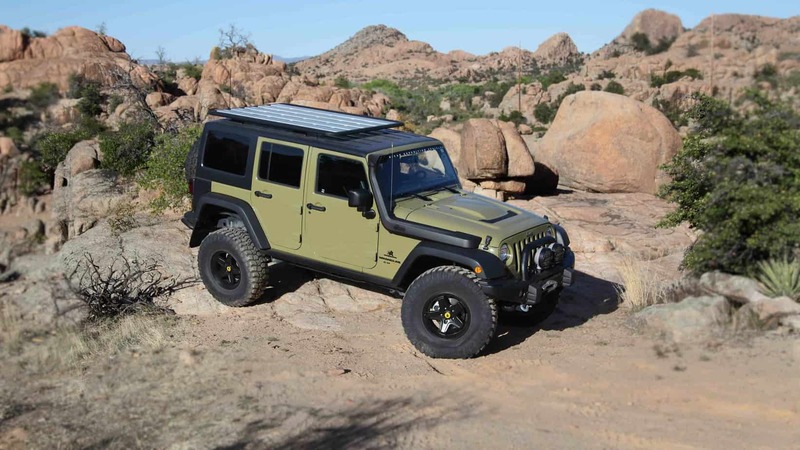 It does more than double the entry price of a Jeep JK, but it is a quantum leap from a stock Wrangler.